I attempted to watch The Carmichael Show last night. I say “attempted” because I found the experience utterly humorless and unbearably painful. Again, the “Black Entertainment Hype Machine” left me disappointed. If you haven’t seen it, The Carmichael Show stars popular comedian Jerrod Carmichael and is a sitcom centered solely on debate over contentious issues. David Alan Grier and Loretta Devine star as his parents Joe and Cynthia, Lil Rel Howery plays his brother Bobby, and Amber Stevens West stars as his “live-in” girlfriend Maxine. The fact that his girlfriend is described in this manner is the first red flag for the litany problems this show poses. The show opened its second season just last week, after a 6-episode “trial run” season last summer. 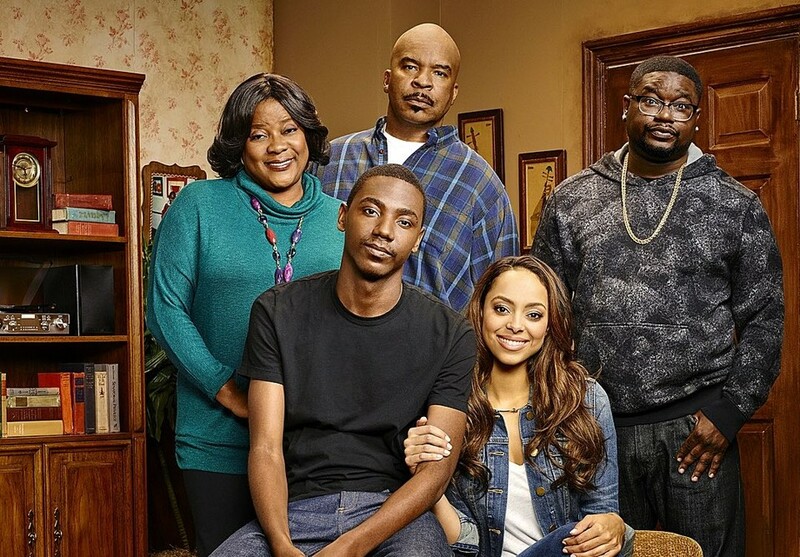 I missed this trial on purpose as it left only the slimmest chances of renewal, but unlike the axed Mr. Robinson that received the same “blink and you miss it” airing, The Carmichael Show managed to live on for another season. After seeing the endless advertisements for the show over the past couple of months (and David Alan Grier’s performance in The Wiz Live), I decided to give the show a chance. At the very least, it might be a show worthy of a cult following. Right? On the bright side, The Carmichael Show is a throwback to the classic sitcom format, from its stilted episode formats down to the notification that the show was filmed in front of a live studio audience as it opens. Honestly, the nostalgia lover in me loves that. I grew up on that TGIF brand of sitcom making that has been largely panned in recent years. However, where that format gave the viewer the impression of looking in on the lives of the cast, here it strikingly feels like a set filled with actors of varying shades of blackness. It feels like a performance instead of a fictional world existing just for our entertainment. At the same time, the acting is amateurish at best. Sure Grier and Devine bring their own brands of magic, but all other performances are appallingly flat. There is no chemistry between the characters, and any hope that these characters would be able to forge a semblance of individuality is squashed by the lackluster writing. Speaking of the writing, the scripts approach topics in the most lazy manner possible. The second episode of the season, which placed Bill Cosby front and center, tried to ask the question: “Which is more important, morals or talent?” But a discussion that could have been insightful and punctuated by humor rested on sophomoric barbs about consent and being knocked unconscious (there are so many reasons why that is just not funny). And the season opener that spotlighted cheating resorted to calling the show’s female lead a “loosey goosey homewrecker”. In 2016, I’m baffled as to how this is even passable, much less critically acclaimed. I’m most perplexed that a show predicated on sharp banter on sensitive topics is at the same time so toothless yet outright offensive. Lil Rel Howery’s Bobby, who could be the most underrated player in the cast, is often setup perfectly for great one liners, but then the provided punchlines are like ill-prepared cakes that never rise. This, while star Carmichael himself constantly plays devil’s advocate, running counter to logic and challenging others to prove him wrong. He attacks others for not supporting Bill Cosby while refusing to eliminate Woody Allen or Michael Jackson from their lives, but only as a rationale for his desire to see a Bill Cosby comedy show. The right sentiment is there, but Carmichael is on the faultiest ground one can stand on, exposing the hypocrisy and then advocating for its sustainment. I really wanted to like this show. Diverse faces are so difficult to find in entertainment that many people believe we should put our support behind any project that heightens our profile. However, I believe this only requires us to make sure that any exposure we do receive is the best it can be. And unfortunately, The Carmichael Show isn’t even that good at being bad.